Former Prime Minister Ehud Olmert, currently serving 27-month prison sentence for corruption, requests pardon from President Rivlin. Former Israeli Prime Minister Ehud Olmert, currently serving a 27-month prison sentence for corruption, has requested a pardon from President Reuven Rivlin. President Rivlin’s office confirmed that a pardon request had been received from Olmert and that it would be sent to the Justice Ministry for consideration, as are all pardon requests. Olmert is the first Israeli prime minister to serve time in prison and be sentenced to jail. He resigned his post in September 2008 after police investigators recommended that he be indicted in multiple corruption scandals. Olmert is serving a prison sentence for receiving bribes in the Holyland affair in what has been called the largest corruption scandal ever in Israel. Holyland involved the payment of bribes to government officials by the developers of a luxury high-rise apartment complex in Jerusalem. 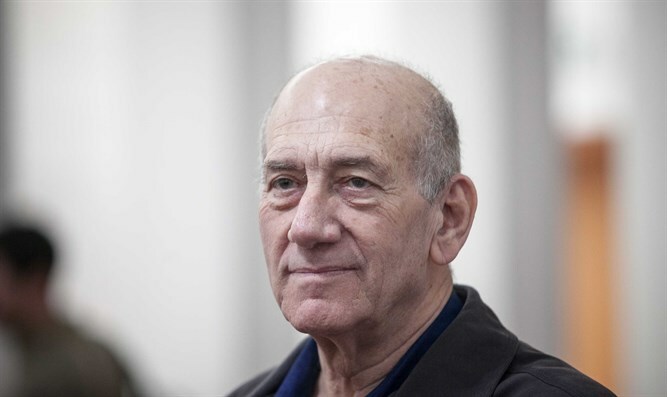 Olmert also was sentenced to prison after being convicted for accepting cash-filled envelopes from an American-Jewish businessman, Morris Talansky, and using it for personal and not political expenses.